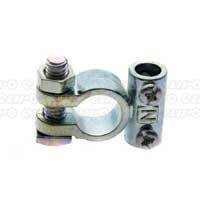 Make sure that if your electrics let you down, you have the right components to make a quick and effective fix. 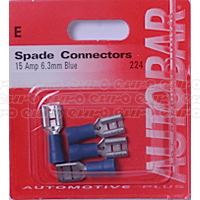 Get great prices on spade connectors here at Euro Car Parts. 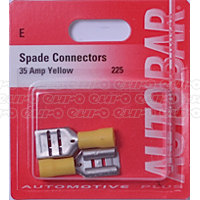 Cars are full of electrical circuits, from those that operate the windows to the engine management system that keeps the whole car operational. While in modern cars these are often highly efficient, older vehicles may be a bit more temperamental. 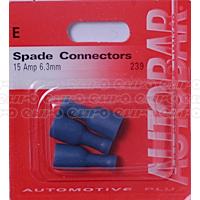 If you're working with older cars, you may find yourself often having to make repairs or tweaks to the electrics, so it makes sense to have plenty of spares of common components, such as spade connectors, to hand. However, even modern cars can have electrical problems, as the circuits are susceptible to water ingress and corrosion still. 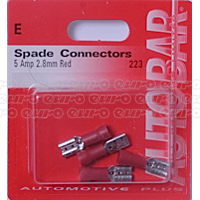 It can be very frustrating to find yourself without transport because of a simple electrical failure, so a box of spare components could be invaluable in getting you back on the road. 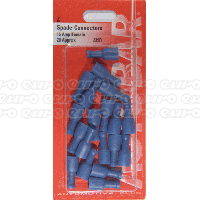 All our spade connectors come with free delivery to UK addresses, or choose from our next-day or international delivery services. We also offer a click and collect service from any one of over 200 UK stores.